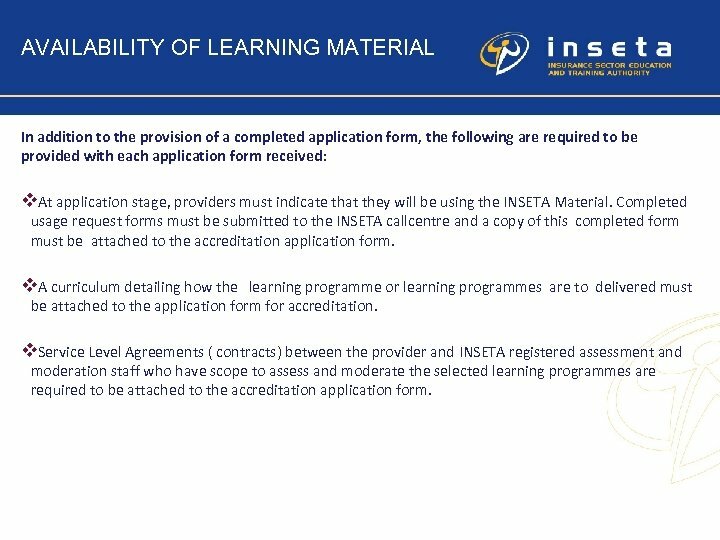 ACCREDITATION AWARD 4. 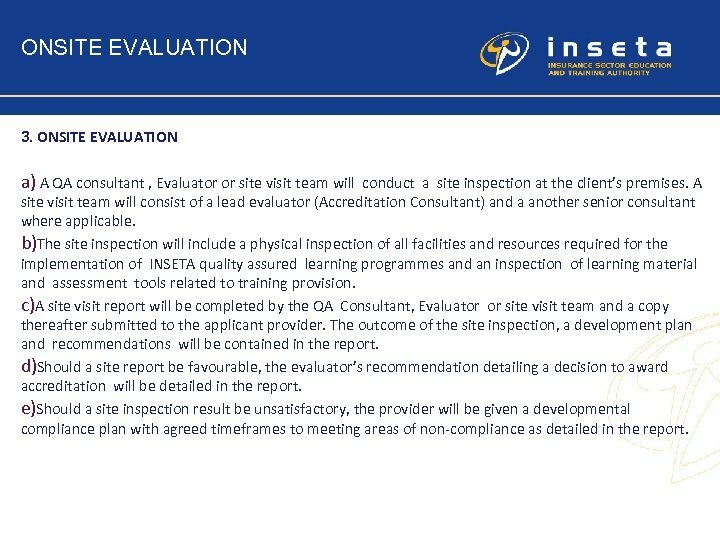 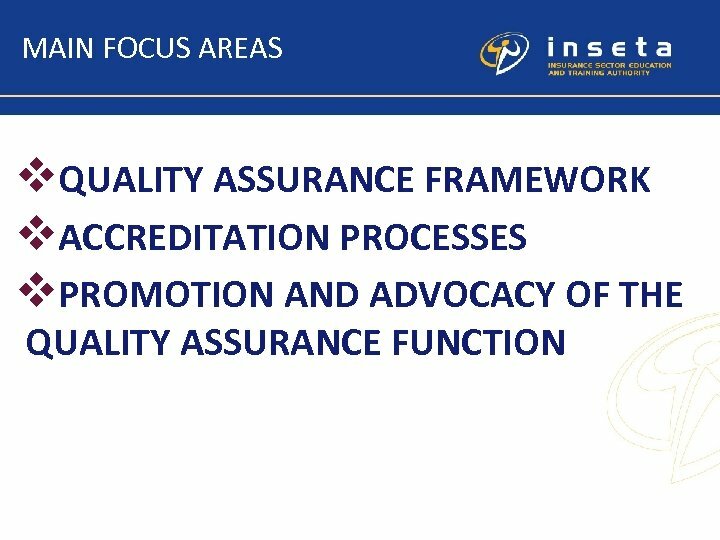 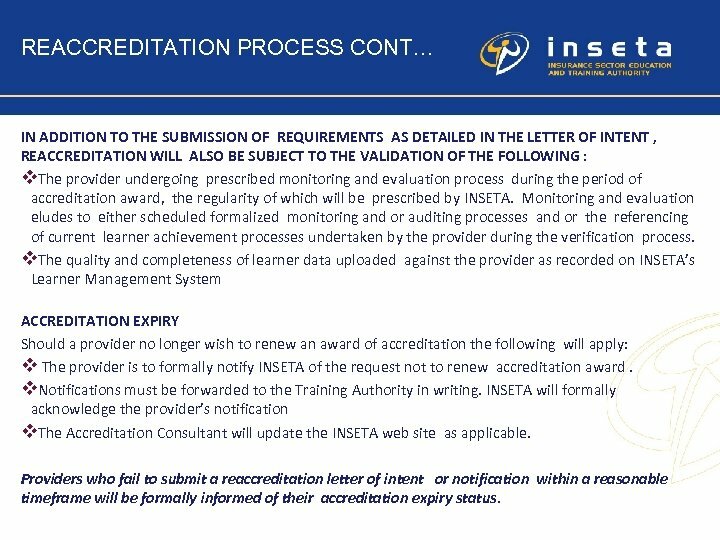 AWARD OF ACCREDITATION a)Should evaluation be favourable, the organisation will be granted provisional accreditation by INSETA. 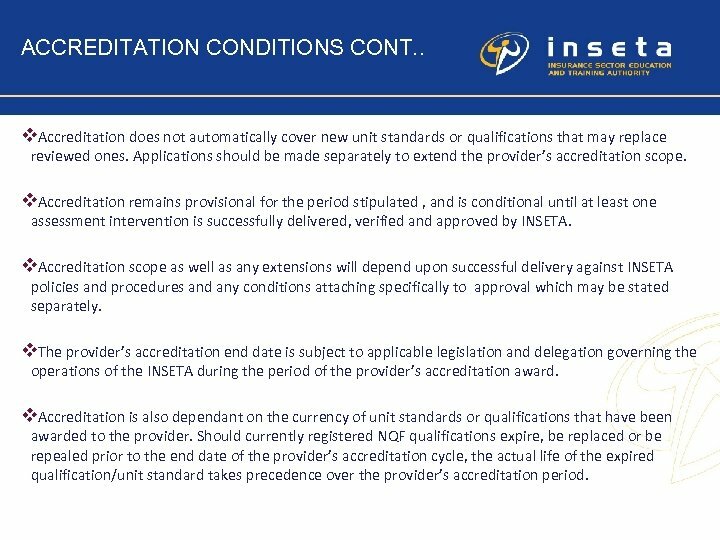 The duration of which may be extended in line with national policy , should an extension this be deemed to be warranted. 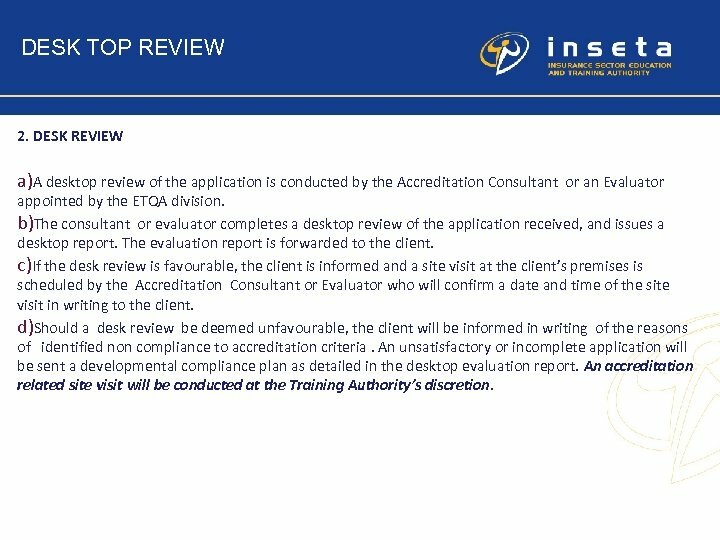 b)The Accreditation Consultant will notify the provider in writing of the organization’s accreditation award. 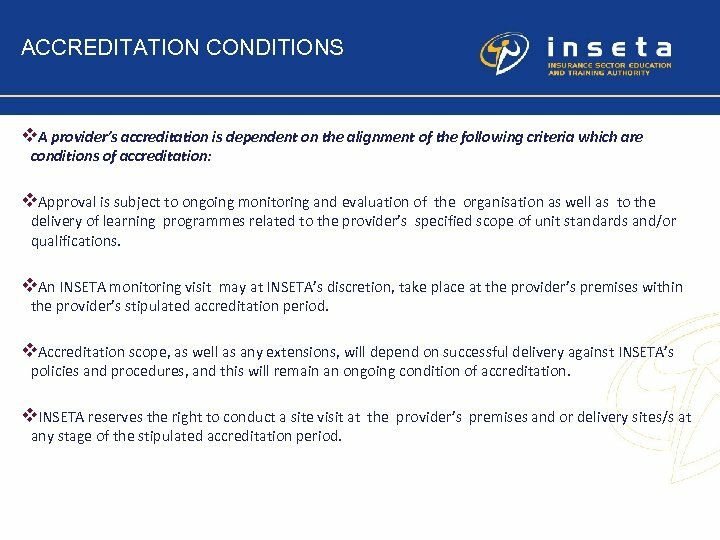 The notification will be comprised of an accreditation letter (including awarded scope) signed off by the QA Manager. 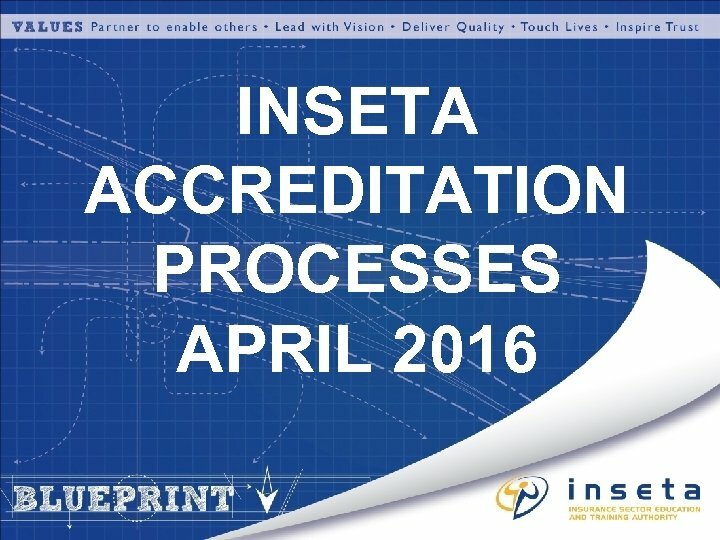 c)The accreditation consultant will update the INSETA accredited provider list with the approved provider’s contact information. 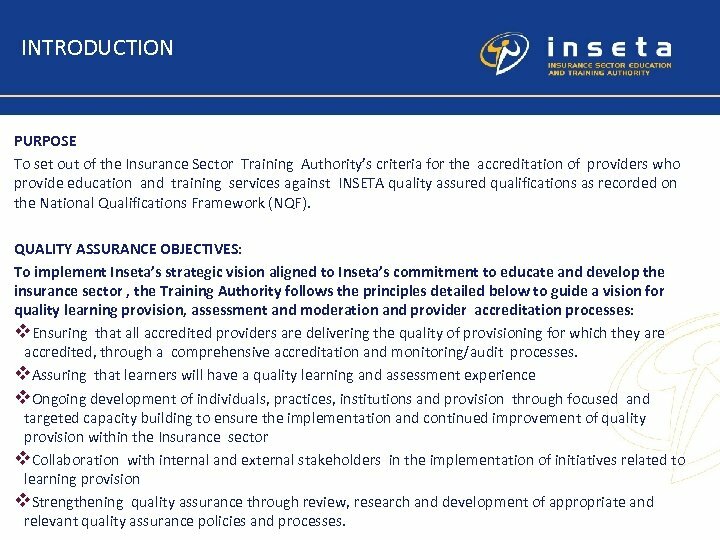 d)The provider’s accreditation details with approved scope will be captured on the INSETA Management Information System ( INDICIUM). 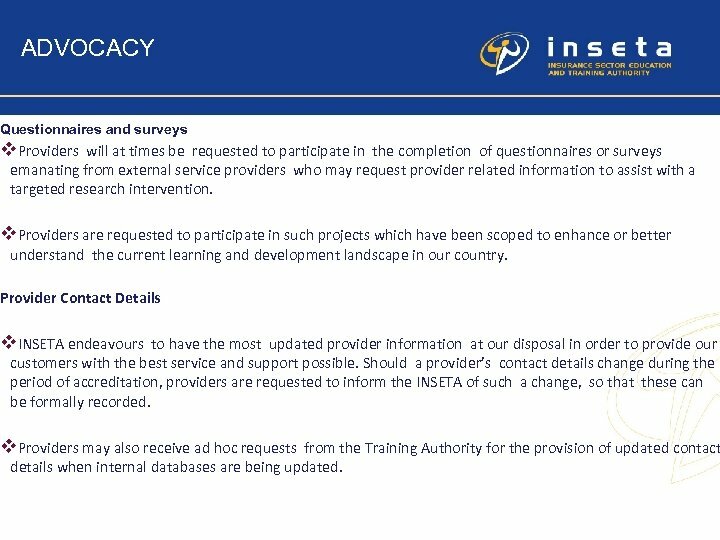 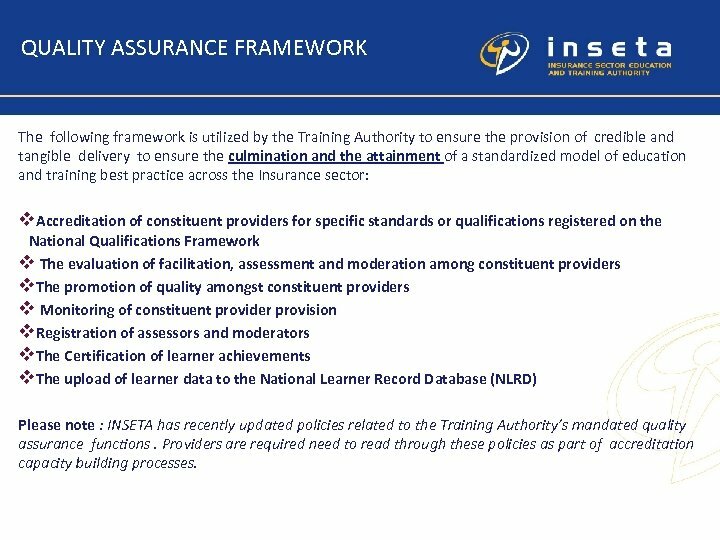 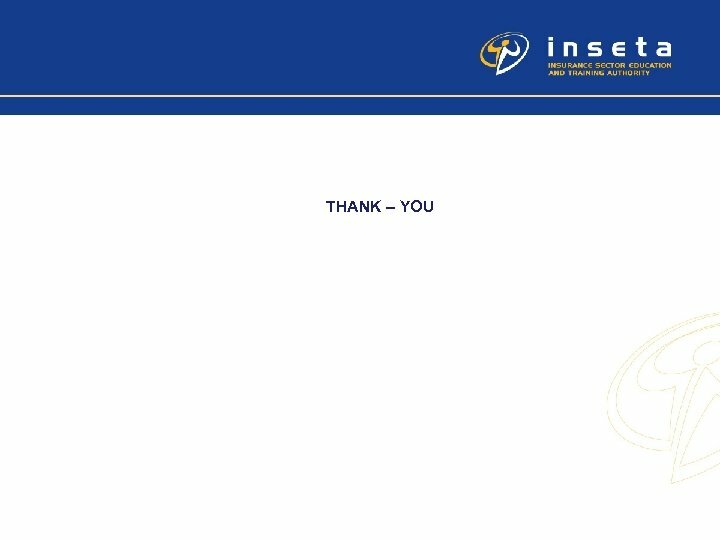 e)INSETA will invite the successful provider to attend training on how to access and use the Inseta’s Management Information to ensure that all providers are au fait with the requirements for uploading learner information and achievements onto the system. 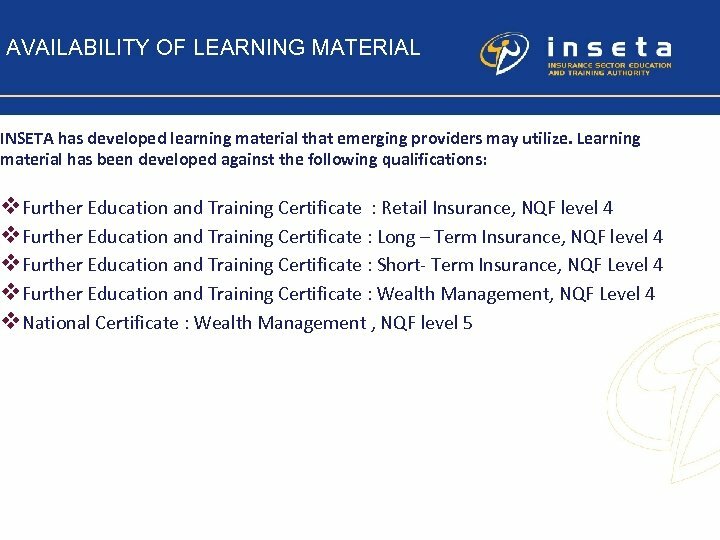 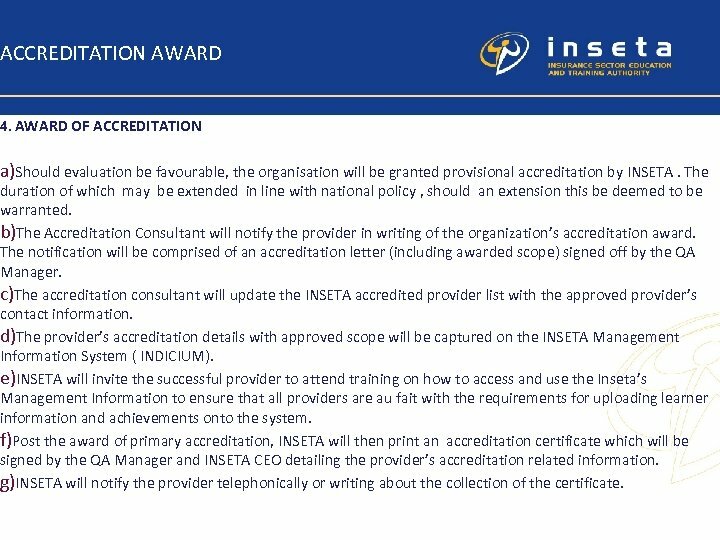 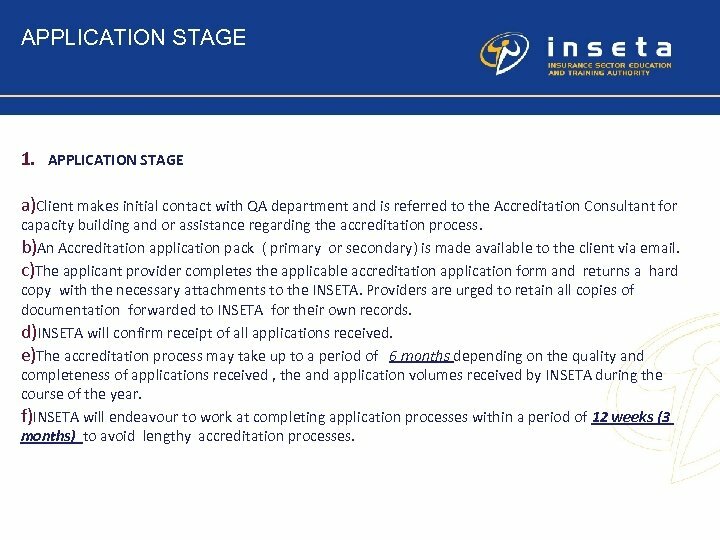 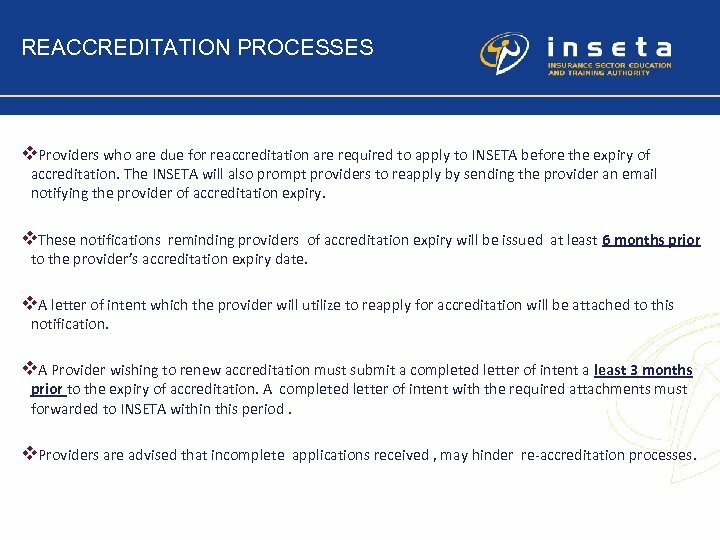 f)Post the award of primary accreditation, INSETA will then print an accreditation certificate which will be signed by the QA Manager and INSETA CEO detailing the provider’s accreditation related information. 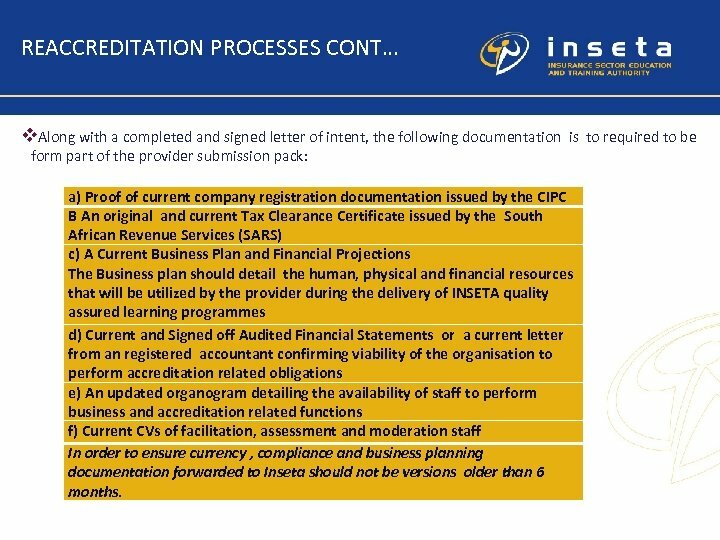 g)INSETA will notify the provider telephonically or writing about the collection of the certificate.